Food waste represents an incredible opportunity as well as a cost for hospitality businesses. For the last three years we’ve been working with hotels, restaurants, and caterers of all kinds who have seen increased food margins by as much as 40% as advances in technology help kitchens measure and manage food waste. No one likes seeing good food go to waste of course, yet globally we waste over ⅓ of all the food we produce. In the UK alone food waste costs the hospitality and foodservice sector over £2.5bn every year and Winnow estimates that this figure is likely to be at least £50bn in developed countries globally. This isn’t because kitchens are badly run, but because they lack the necessary tools to actively measure and manage waste. Waste is a by-product in any production process, but unlike industrial factories the sheer complexity of a kitchen has traditionally made measurement difficult and time consuming. If it’s such a significant problem, why should we love food waste? Instead of seeing food waste as an enormous problem, what if we reframe and look at it as a huge opportunity for hospitality operators to become more profitable? The industry standard, for example, is to budget 3% to 5% of food costs to be wastage in the contract catering sector. However data from a number of sources including WRAP show that in many kitchens food waste can cost as much as is made in net profits. 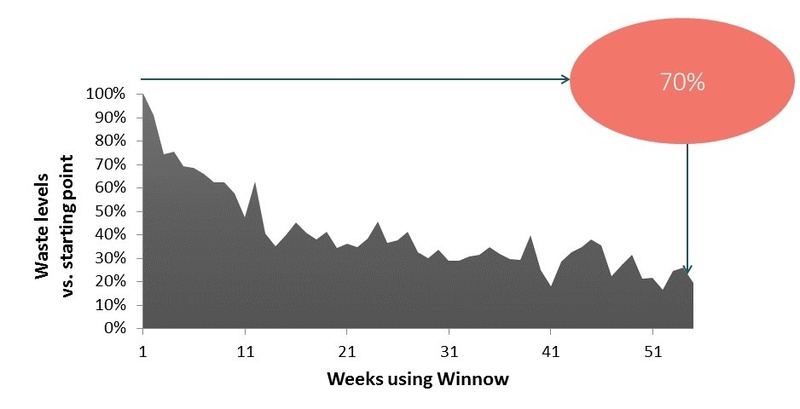 Working with over 200 kitchens Winnow data shows that between 10-20% of all food purchased is wasted. 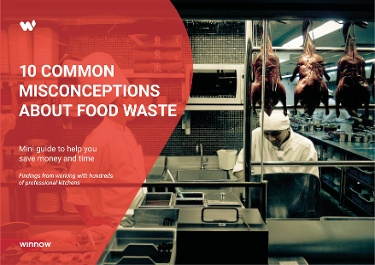 Put in this context, addressing food waste is a significant opportunity for savvy operations to cut costs and save money. Where should the hospitality and foodservice sector focus to capture most value? For us to look at food waste in this way we must first understand both why waste occurs and where it occurs in the production process. Depending on the type of operation, the source of waste can vary. For example, in large hotels and in catering, the challenge is managing counter waste, where roughly 50% of the waste occurs. For restaurants, on the other hand, and depending on the type of offer, the challenge is managing in kitchen production waste or plate waste. AccorHotels are Europe’s leading hotel chain serving over 150 million meals every year to their guests. They see food waste as both an economic problem as well as a sustainability issue and have run an number of pilots in their hotels to analyse where food waste occurs. Sofitel Bangkok Sukhumvit, a luxury 5-Star hotel centrally located in the heart of Bangkok’s business, shopping and entertainment district. Sofitel Bangkok Sukhumvit features 345 luxury rooms and suites, events space and catering service. 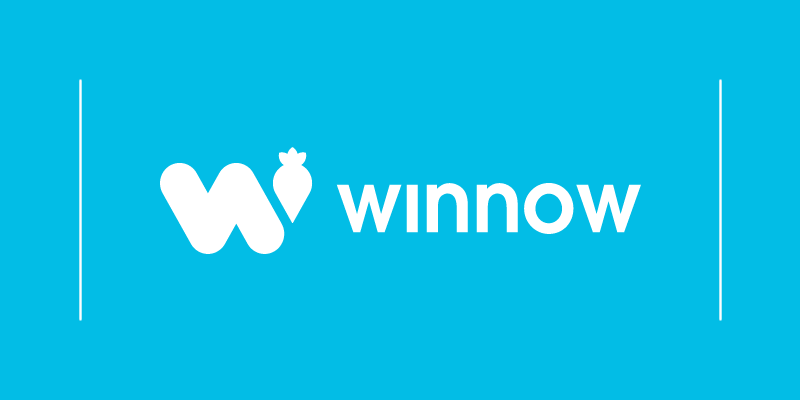 As a pilot with the Accor Group, Winnow installed 2 machines in the all day dining restaurant to measure food waste. Food waste was reduced dramatically: after 15 weeks of operation Sofitel already achieved great results. Today, average waste by value is down by 50% from the start point. This would lead to $60,000 estimated annual savings per year. Watch the full case study video here. Following the success of the pilot AccorHotels have now set an ambitious target to reduce food waste by 30% by 2020 which will reduce costs as well as doing the right thing for the environment. Working with over 200 kitchens in six countries we have collected data from a wide range of businesses. Our data shows that reductions of over 50% are consistently achieved using technology. In particular we have found that any kitchen that prepares food in advance (for example for a hotel buffet breakfast or hot counters in a staff restaurant) see immediate benefit as production volumes are adjusted quickly to more accurately manage demand. Using analytics to optimise how much is produced at particular points of the day, kitchens like these can reduce waste by 75% or more. Our customers tell us that these reductions translate to increased gross margins of 2-6 whole percentage points. Given the tight margins that most kitchens operate on, this can translate to a significant uplift in profitability. Ethics and sustainability agenda aside, strategically addressing the problem of food waste is one of the most exciting opportunities facing the hospitality sector. Whilst we might not end up loving food waste itself, the potential upside to making our operations more efficient, streamlined and profitable is exciting. To find out more about the impact addressing food waste could have on your bottom line try our food waste calculator.